The State Department approved the arms sale but China says it runs counter to U.S. commitment to 'one-China' policy. BEIJING – China on Friday strongly protested a U.S. plan to sell $1.4 billion worth of arms to Taiwan and demanded that the deal be canceled. Chinese foreign ministry spokesman Lu Kang said the sale would severely damage China’s sovereignty and security interests and run counter to Washington’s commitment to a “one-China” policy. He asked the U.S. to immediately stop the sale to avoid harming relations with Beijing. The U.S. State Department approved the arms sale on Thursday, the first such deal with Taiwan since President Donald Trump took office. The sale was broadly welcomed on Taiwan as a show of U.S. support, despite concerns about the strain on finances and Beijing’s angry response. 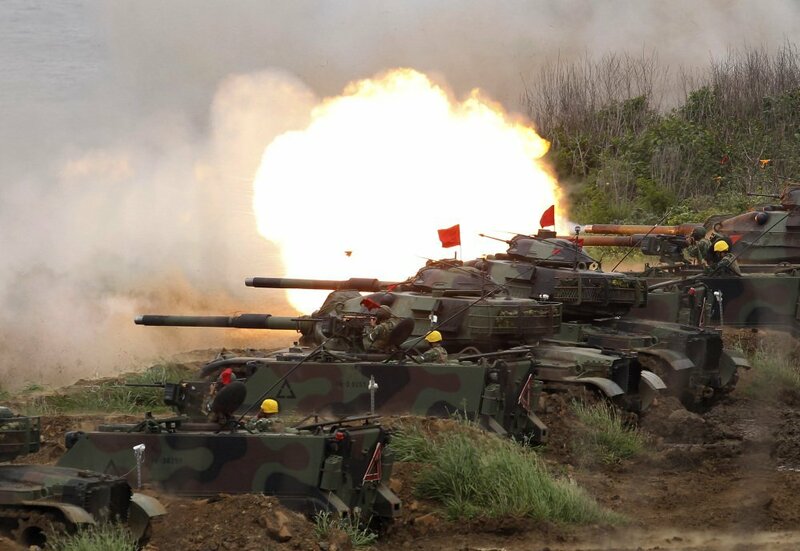 Taiwan’s defense department said the sale would enhance the island’s self-defense capability. The U.S. State Department’s approval of the sale – the first since December 2015– follows a tense year between China and Taiwan. China’s hostility toward Tsai is a big concern, said Lee Chun-yi, a ruling party legislator. “Most people will support this arms sale because we need to strengthen our defense” amid strained relations between the sides, he said. The party favors a stronger Taiwanese identity. About 66 percent of Taiwanese oppose unification with Beijing, a Taiwan Indicators Survey Research poll found in May 2016. In the southern city of Kaohsiung, citizens feel vulnerable to a Chinese attack through the shipping port, said George Hou, a media studies lecturer at I-Shou University in the city. Many in Taiwan had been wondering whether Trump was sidelining Taiwan to form stronger relations with Beijing, in part to seek its help in pressuring North Korea to end its nuclear weapons program. Trump had raised hopes on the island when he broke with diplomatic precedent in December by taking a phone call from Tsai, but in February he assured Beijing he supported its “one-China” policy. But some people are concerned it could lead to an arms race with China, Huang said. The arms approved by the U.S. government for sale to Taiwan include torpedoes, technical support for early warning radar, anti-radiation missiles and missile components, officials from the two governments said. Taiwanese officials indicated they would pursue the U.S. arms package. The defense ministry plans to start discussions “as soon as possible” about quantities, prices and delivery times, it said in a statement.